In The Politics of Perception, artists Debbie Symons and Jasmine Targett examine how different people at different times have perceived or failed to perceive the true impact of environmental degradation and its underlying causes. People often treat economics and ecology as structures of similar value and immutability, yet economics is governed by human behaviour, while the laws of nature govern ecology. We can negotiate with human behaviour, but we can’t negotiate with physics and chemistry. Symon’s Amazonia explores what can happen when free market capitalism is pitted against a natural world that is viewed solely as a resource to be exploited. Targett’s Blind Spot considers the discovery of the hole in the ozone layer in the latter part of the 20Th Century. Both question whether we have the capacity to rectify the planetary environmental destruction for which we are responsible. 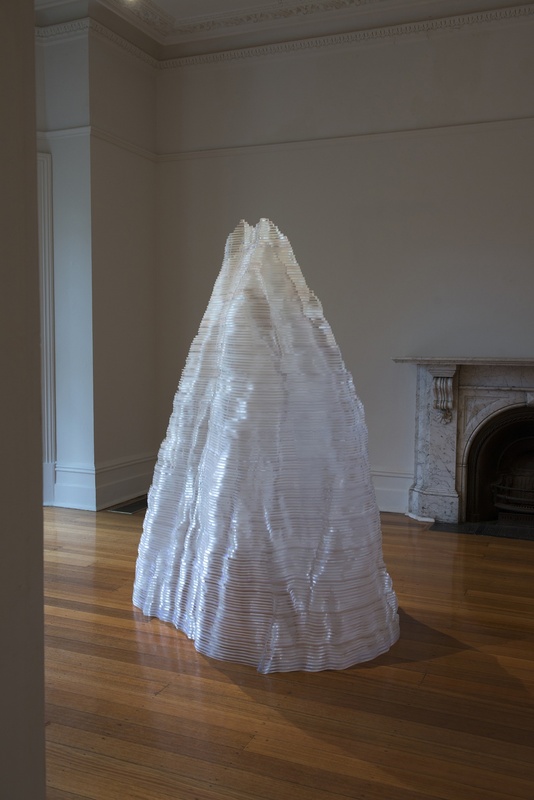 The collaborative work Antarctica: Dissolving Perception takes this investigation further, by examining the impact the ozone hole has on the vast areas of ice over the Antarctic landmass. 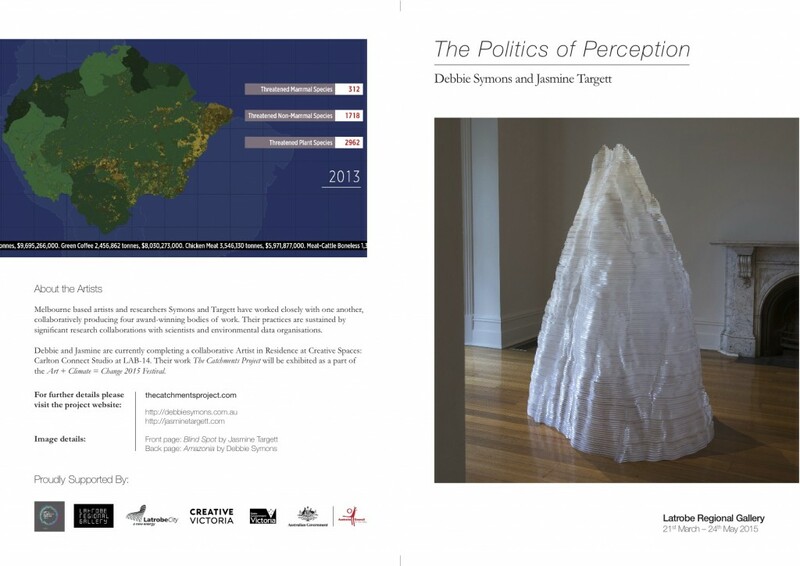 We are particularly pleased that Latrobe Regional Gallery is participating in Art+Climate=Change 2015. As a key region in our nation’s agricultural, energy, and tourism sectors, it is vitally important that the communities of the Latrobe Valley have the opportunity to consider and participate in the very important questions that have fallen upon our generation to answer. We hope that this exhibition will play some part in informing and engaging individuals and communities, and allow them to consider how we could move towards a just and sustainable future. 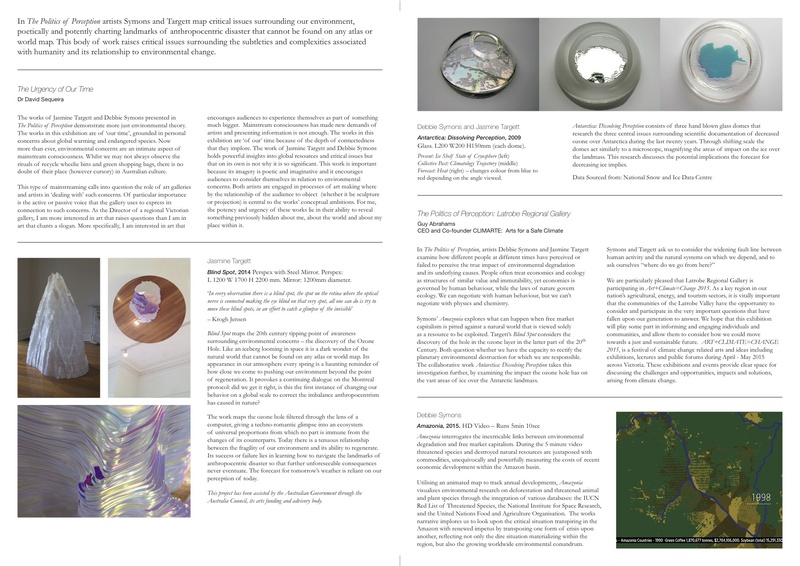 ART+CLIMATE=CHANGE 2015, is a festival of climate change related arts and ideas including exhibitions, lectures and public forums during April - May 2015 across Victoria. These exhibitions and events provide clear space for discussing the challenges and opportunities, impacts and solutions, arising from climate change.